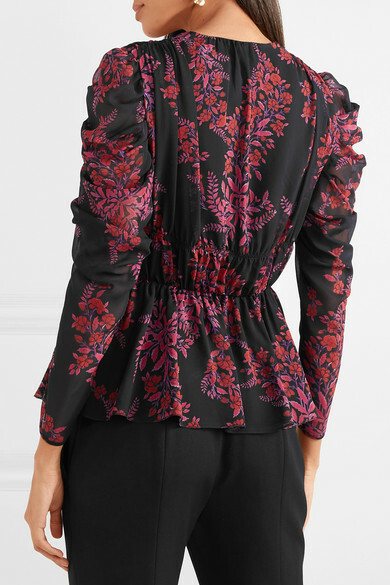 Giambattista Valli swaps out his signature blooms for pink and purple botanical leaves on this blouse. 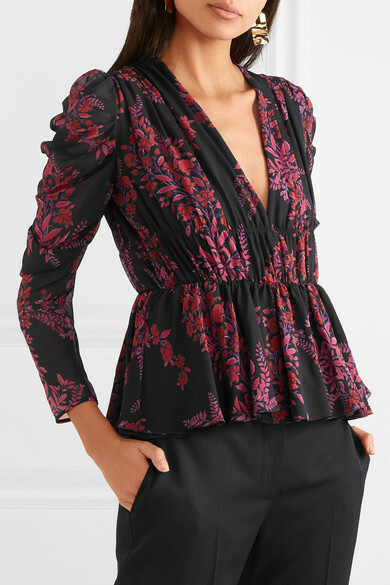 It's cut from lightweight silk-georgette with a graceful peplum hem that creates a softened hourglass silhouette. 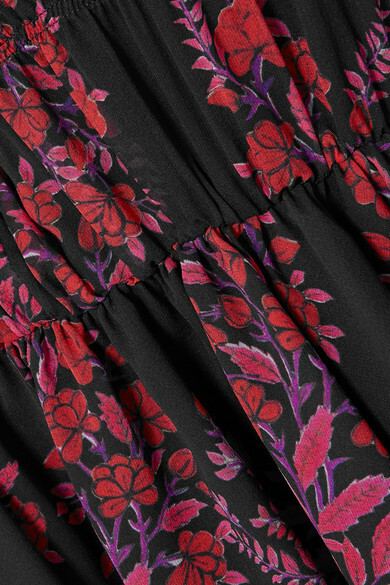 Complement the plunging neckline with a pair of shimmering earrings.